Harley-Davidson Tec X TK-B Black Stonewashed Pocket Knife | BUDK.com - Knives & Swords At The Lowest Prices! When you think of Harley-Davidson, you think of hard-core biker style and this definitely what you get with this Tec X folding pocket knife. Tec X is a brand of high-quality knives with stylish modern designs engineered from high grade materials for lasting durability. The TK-B Black is the ultimate utility knife for a wide range of applications whether you’re camping, field dressing or performing everyday tasks. 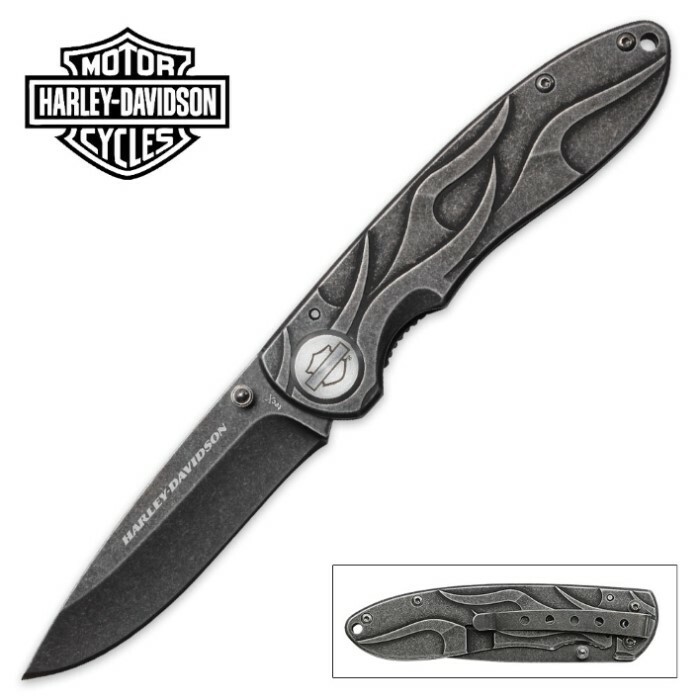 It has a high-grade 440 stainless steel locking blade and a stainless steel handle with a black stonewashed finish. The most prominent feature, however, is the Harley-Davidson artwork on the handle. 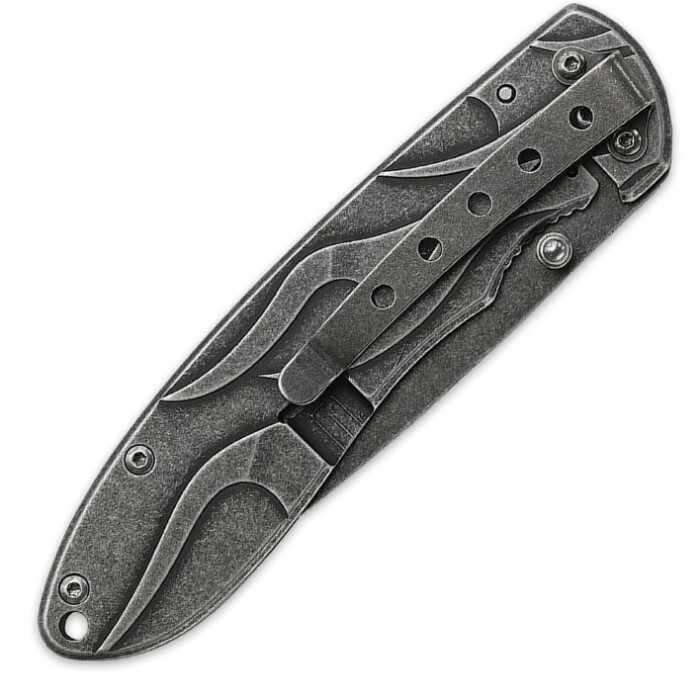 This knife is 4 1/2” closed and has a pocket clip for easy carry.